Description of the words. 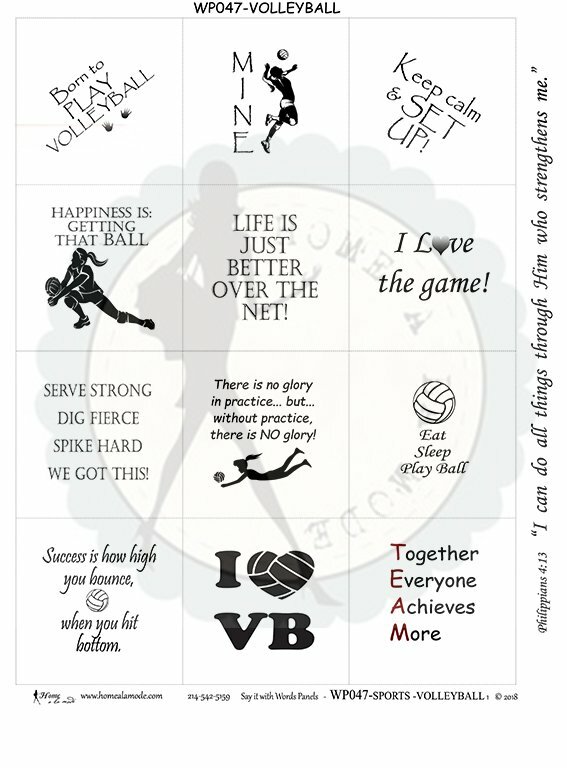 Sharing with your family and friends words and phrases like: Born to play Volleyball. MINE. Keep Calm and Set up. Happiness is getting that ball. Life is just better over the net. I love the game. Serve strong, dig fierce, spike hard, we got this. There is no glory in practice, but, without practice, there is no glory. Eat, sleep, play ball. Success is how high you bounce, when you hit bottom. Together everyone achieves more. I love Volleyball.